By now you may have heard of koji, the bacteria growing in popularity with macrobiotic chefs and consumers who are trying to eat healthier. Chef Natsuko Yamawaki is one of those chefs who wants all New Yorkers to use koji on a regular basis. After having success with using fermented foods at last year’s NY Street Ramen Contest, Chef Natsuko teamed up with RESOBOX art gallery in Long Island City to present a series of workshops related to cooking with Japanese fermented foods. JapanCulture•NYC discussed these workshops with both Chef Natsuko and RESOBOX co-founder Takashi Ikezawa. JC•NYC: You are the co-owner of an art gallery. Why did you decide to have cooking workshops with Chef Natsuko? Ikezawa: Japanese food that is made by real professionals goes beyond a simple tasty meal and is considered an art. Great art does not just look nice, but most of it contains deep insight and meaning. I felt the same way with Natsuko-san’s Japanese cooking. Her cooking is an art, which looks great and also has a deep mission: Through macrobiotic food, she can make people healthy. For me, art is not limited to painting, sculpture, and so on, but is everything that makes people’s lives rich. Natsuko-san’s food is absolutely one of the arts that I must introduce. JC•NYC: Chef Natsuko, why did you decide to do the workshops about fermented foods at an art gallery? Chef Natsuko: I think making fermented foods is one kind of art. Nobody can make the same batch of fermented foods. Homemade fermented food is in effect made by your ki – your heart – and bacteria in your home environment, your kitchen, right down to the skin on your hands. It is very unique and original. JC•NYC: What reaction do you get from members of your workshops when you say you’re cooking with “fermented” foods? Chef Natsuko: Most people know fermented food is good for you, and they show curiosity about Japanese fermented food. But when I said “BACTERIA,” some people ewwed (laughs), but they eventually understand bacteria do not always cause bad things. There are good bacteria that are key ingredients for the fermentation process. JC•NYC: How important is Japanese cuisine to Japanese culture? Ikezawa: One thing that makes Japanese culture unique is the coexistence of nature and human beings. We have lived with other lives, including animals and plants. For us, food is not just things to be consumed, but partners to live with. Like husband and wife, a partner should be respected and loved and treated in the same way as we are. JC•NYC: Why are ingredients such as miso or shio koji important in Japanese cuisine? Chef Natsuko: Japanese seasonings such as miso, shio koji, Amazake, sake, mirin, rice vinegar – these are all koji products. Koji is made by aging steamed rice with koji spores to allow a fungus rich in enzymes to grow. I can say Japanese cuisine can’t exist without koji. Miso and shio koji play a nutritional and flavorful role in Japanese cuisine. 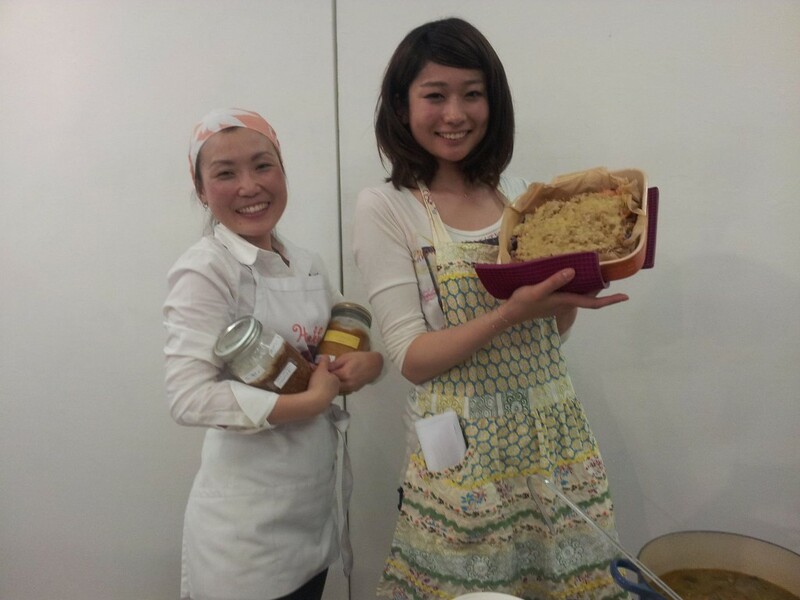 Chef Natsuko (left) at the miso workshop at RESOBOX. Photo by The Pickle Club. JC•NYC: What is your goal with these workshops? Chef Natsuko: Since I started making my own fermented food, my family is getting healthier and healthier. I have a two-year-old daughter who never gets the flu, and neither do my husband or I. When I feel I’m coming down with a cold, I take one cup of hot miso soup, and the next day I get over it. One cup of miso soup is more effective than medicine! So I want to introduce such amazing foods to as many people as possible, especially the mothers who have small kids, through these workshops. I want to see people start making their own fermented food at home! That is my goal! JC•NYC: What part of Japanese culture do you like to promote the most? Ikezawa: I’d like to describe Japanese cleanliness culture, ideas, history, and etiquette comprehensively through arts. Japanese Bath (お風呂 ofuro) is another thing that I’d like to feature in the future. Ikezawa would one day like to offer regular, weekly cooking classes at RESOBOX, and he is open to suggestions. 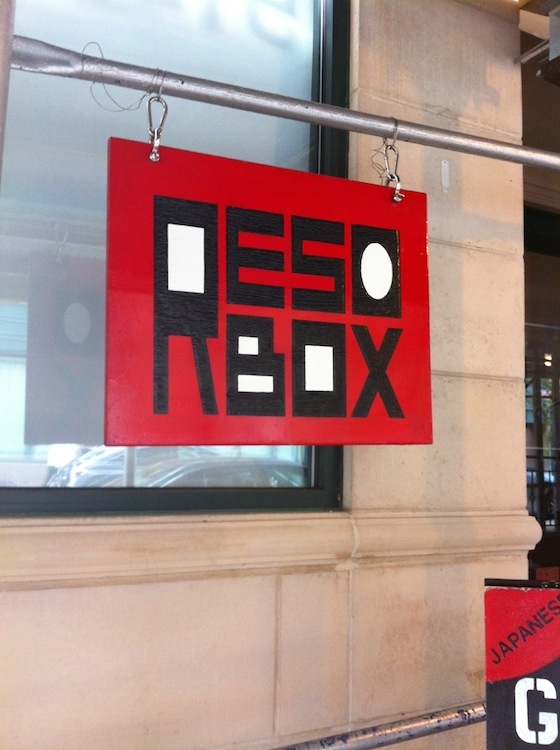 Please visit RESOBOX online to see the latest exhibitions and cultural workshops. Chef Natsuko has her own company, Hakkoan, and provides catering services and cooking classes. She recently opened the restaurant Aki on West 4th by Natsuko at 181 W. 4th Street (between Jones and Barrow Streets). Read more about Chef Natsuko’s participation in the NY Street Ramen Contest here and watch an interview with her husband here. Thank you very much for the article! I love it! !